With the violin concertos by Jean Sibelius and Igor Stravinsky, Zhi-Jong Wang and the Philharmonia Orchestra, conducted by Thomas Sanderling, dedicate themselves to two works from the beginning of the 20th century. Although the two works were composed only thirty years apart from each other, they could not be any more contrasting: minor against major, dark, mystical and introverted against exciting, suspenseful and sometimes ironic. 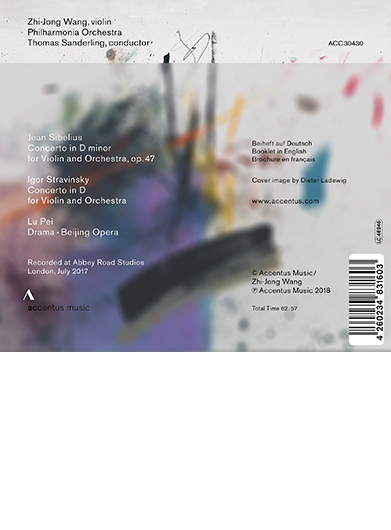 And yet, in the contrasts of these two concertos, the virtuoso and inspiring interpretation of the Chinese violinist reveals something amazingly unifying.